Djibouti is the least developed and most food-deficit country in the Horn of Africa. Recurrent drought and high food prices have taken their toll on this tiny nation, where 42 percent of the population lives in absolute poverty with 83 percent of those living in rural areas. The average life expectancy is 53 years. In the hot, dry and arid climate, life becomes particularly difficult for the country’s pastoralists who have lost up to 70 percent of their livestock. Even in the best of times, Djibouti has a climate unsuited to crop production with less than eight inches of rainfall each year. The country compensates the gap by importing 90 percent of its food, making the country highly dependent on international market prices. Any variation in the international prices has a considerable impact on the poorest segment of the population, which spends 77 percent of household budgets on food. Stabilize or reduce undernutrition among children aged 6 months to 59 months, pregnant women and nursing mothers; stabilize or improve food consumption; and restore or stabilize access to basic services and community assets. Ensure that registered refugees—from Eritrea, Ethiopia, Somalia and Yemen—living in camps and the most food-insecure Djiboutian populations have access to an adequate nutrition. This is provided through food rations that include specialized food products to treat and prevent malnutrition; cash to refugees in camps; and e-cards to the most vulnerable households in the suburbs of Djibouti city. Refugee girls receive a take-home ration to encourage girls’ school enrollment and attendance. People living with HIV/AIDS on antiretroviral treatment and tuberculosis patients on direct observation treatment are provided with specialized nutrition products to support treatment and recovery. WFP also has income-generating programs for homes impacted by HIV/AIDS, where participants build and develop community assets to enhance their resilience to climate change. Build capacity for a sustainable, national school meals program. 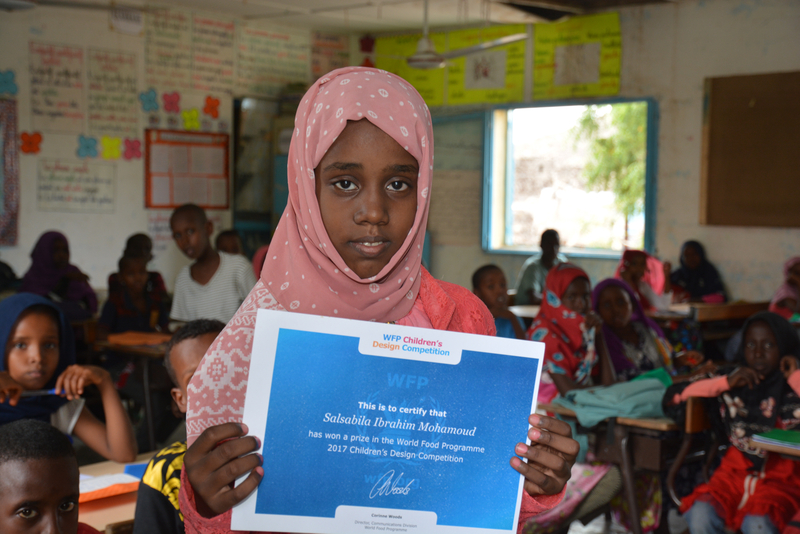 Through a combination of both WFP and internationally purchased food and locally purchased food, as well as take-home rations for girls in third through fifth grade, WFP aims to increase access to education, make progress toward a more sustainable school meals program and promote education for girls.